NASA’s Mars Reconnaissance Orbiter, at Mars since 2006, made an unplanned switch on Wednesday from one main computer to a redundant one onboard, triggering a hiatus in planned activities. Sensing the computer swap, the orbiter put itself into a precautionary safe standby mode. It remained healthy, in communication and fully powered. The mission’s operations team expects the Mars Reconnaissance Orbiter to resume full duty within a few days, including communication relays and science observations. The orbiter has experienced this type of unplanned computer swap six times previously, starting in 2007 and including two occasions in 2014. “We never quite know when it’s going to happen, but we know what to do when it does,” said Reid Thomas, mission manager for Mars Reconnaissance Orbiter at NASA’s Jet Propulsion Laboratory, Pasadena, California. Shifts between the spacecraft’s redundant “Side A” and “Side B” main computers leave a clear signature that enables the team to quickly diagnose what happened and send commands beginning the process of restoring the orbiter to full operations. The latest swap put the spacecraft onto the Side B computer. NASA’s Mars Reconnaissance Orbiter entered orbit around the Red Planet on March 10, 2006. Since then, it has returned more data than all other past and current interplanetary missions combined, with a current tally of 249 terabits. The mission met all its science goals in a two-year primary science phase. Four extensions, the latest beginning in 2014, have added to the science returns. The longevity of the mission has given researchers tools to study seasonal and longer-term changes on the Mars. 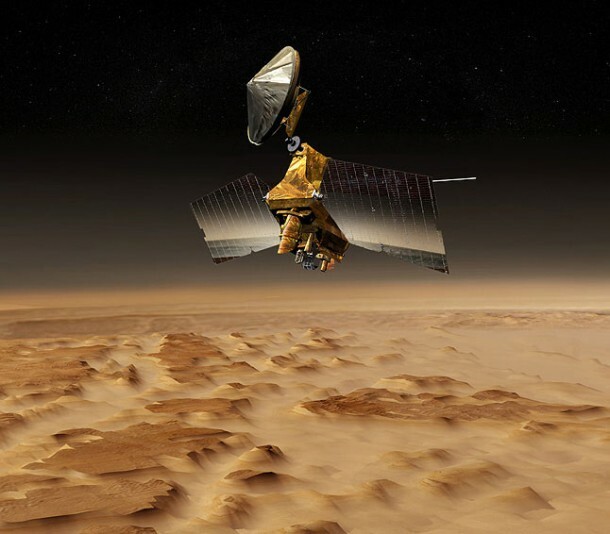 Among other current activities, the orbiter is examining possible landing sites for future missions to Mars and relaying communications to Earth from NASA’s two active Mars rovers. Mars Recoiannssance is the entire detail performer of mars environment methane content a traces of water and snow also the temperature can be evident for a composition of soil that is normally gypsum type some sites also radioactive in nature.